Dr. Daniele Zaccaria, an assistant Cooperative Extension specialist in the Department of Land, Air and Water Resources, specializes in agricultural water management and irrigation. 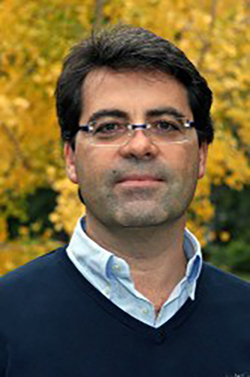 Zaccaria completed his Ph.D. in civil and environmental engineering at Utah State University. He served as scientific officer at the International Center for Advanced Mediterranean Agronomic Studies in Italy before joining the UC Davis faculty in 2013.